Spring is just around the corner, and that it means it is time to stock up your child’s closet with Carter’s OshKosh B’gosh Canada. 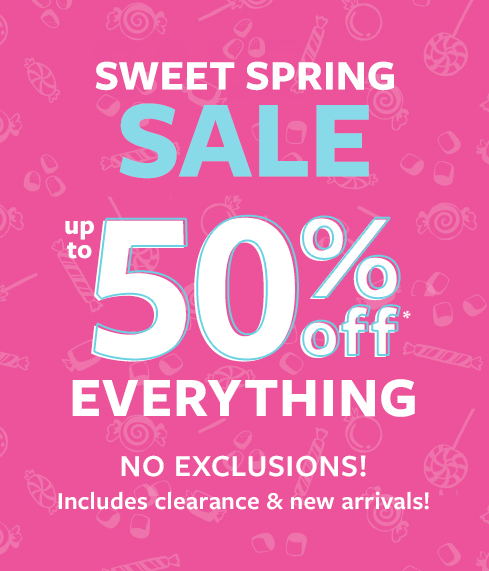 Right now, you can save up to 50% off on everything, including clearance and new arrivals. No exclusions! This offer is valid for a limited time only, while quantities last. You can save 50% off on select baby girl and baby boy styles for a limited time only, while quantities last. This offer excludes clearance. Not to mention, you can save an extra 25% off on many clearance styles. 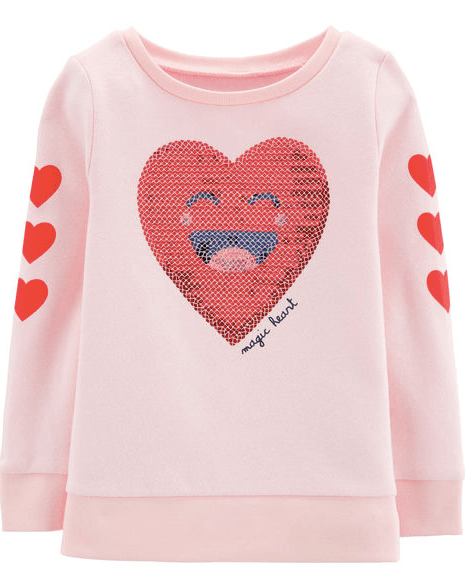 This Baby Girl Carter’s Sequin Heart Sweatshirt is on sale for $8.99. Carter’s OshKosh B’gosh Canada is giving you an extra 25% off at checkout, so you can pay only $6.74. That’s a total savings of $11.26 from the original price of $18.00! Featuring cute sequins and a cozy fleece, this sweatshirt is a cold-weather fave. Carter’s OshKosh B’gosh Canada offers FREE shipping when you spend $50 or more. Click here to start shopping at Carter’s OshKosh B’gosh Canada.